50 Cent hit the pause button on trolling to share this beautiful moment with his son Sire Jackson on Instagram. This week we saw 50 Cent going after Teairra Mari and Wendy Williams where he viciously attacked the talk show host for his struggles with drug and alcohol addiction. While he may just be repaying Williams for constantly bashing him on her show, some fans thought that the rapper went a bit too far in trashing her for her addiction to cocaine, but that is classic Fifty for you. If you don’t cross him then he won’t mess with you, it’s that simple, and it’s pointless to call him petty because he invented that word. 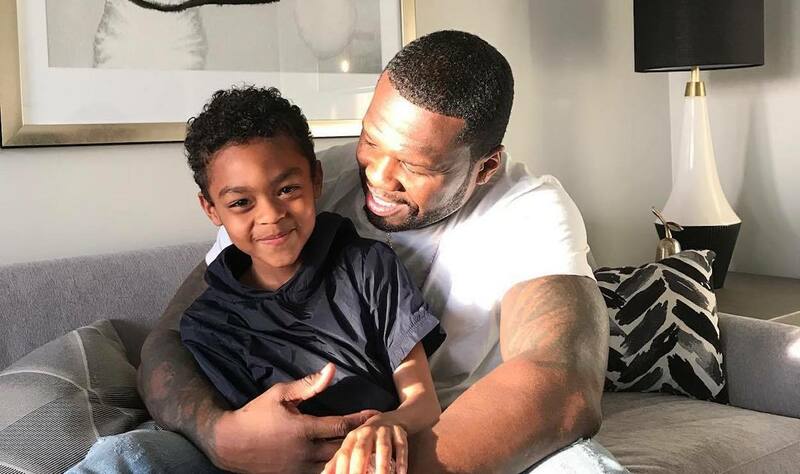 In staunched contrast, 50 Cent shared a couple of photos of himself and his son Sire on the Gram, and it’s good to see him enjoying daddy duties. “This guy is part two, his personality, he’s already better than me. I just got a few things to teach him,” Fifty wrote while sharing a laugh with his adorable baby boy. 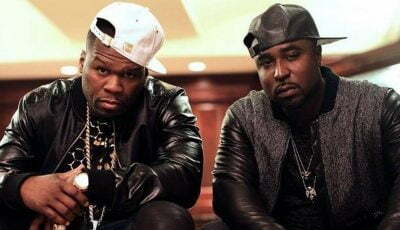 The G-Unit rapper/actor then shared a video of himself and Sire browsing the internet together. “We’re looking at stuff online. LOL,” he wrote. Perhaps he is teaching young Jackson the art of internet trolling, or maybe they were just watching some cartoons. The bottom line is 50 is enjoying daddy duties at least until he gets back down to trashing his enemies on the Gram. Last year September, 50 Cent came together with his baby mama Daphne Joy to throw a Plants Vs. Zombies-themed birthday bash for the 6-year-old who was spoiled with some high priced gifts from his famous father. His relationship with Sire and his mother is the opposite of that of his eldest son and his mother. In fact, 50 Cent and his son Marquise Jackson are not on speaking terms.